How do I find a human insight? When it comes to advertising and marketing, you don’t always need to be a seasoned creative to distinguish an exceptional execution from a bad one. Sometimes you just know it when you see it. But knowing WHY you're having that reaction is key. The answer often lies in that feeling you get when you see an ad that breaks through the clutter inside you. This phenomenon is commonly referred to as the “aha!” moment in advertising — and it can make all the difference between creative that sticks and creative that stinks. But, in order to understand "aha!" moments and how you can craft your creative to spark them, we must first explore their root cause: human insights. If developed carefully, your creative should cause the target audience to immediately perceive the relevance it has in their own lives. This central truth is something commonly referred to as a human insight in the world of advertising. Notice that I’m referring to one human insight, not two or three. The best creative work out there is singular in focus, which makes it easier and more intuitive for the target audience to discern the key message right away. 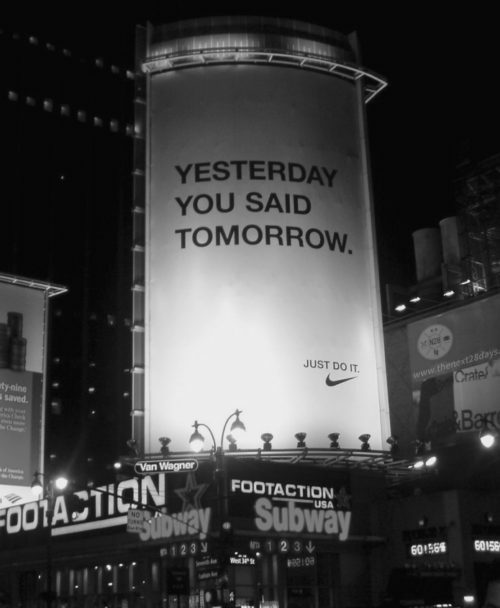 Take this Nike billboard from their “Just Do It” campaign as an example. The human insight? When it comes to reaching our fitness goals, we often have the motivation to reach them, yet we tend to procrastinate. While we're on the topic of human insights, it’s critical that we get to know some common misconceptions about them in the industry. Oftentimes, statistics are mistaken for human insights, which isn’t quite the case. For instance, if the creative brief for the Nike billboard shown above included a statistic (masking as an insight) - i.e. - “70 percent of new athletes don’t stick to a workout routine” - it could have resulted in a headline like “Make running everyday easier with Nike.” That's a nice message, but does it move a person inside? You see, the problem with statistics is that they don’t quite dig deep enough. They’re merely step one of the creative excavation process. After all, they’re just factual bits of information drawn from data. If it's exceptional creative you're after, you'll have to take it to the next level. There's no single way of getting to the human insight. To find one, you'll likely have to dig through statistics, perform in-depth research or try to form one through observation. Ultimately, you'll need to figure out what central truth is inherently connected to your product or service. An ideal human insight is easily relatable to anyone in your target audience and powerful enough to drive action. The end result should be inspiring, singular in focus and highly perceptive. Keep this important caveat in mind when brainstorming insights. You can’t typically create a human insight. It should be already present within the minds of your target audience in order for it to be effective. It may be hidden deep in their psyche, but it must exist somewhere in their head in order for it to be relatable. Thus, our job is to discover them, not build them from scratch. While there isn't a definitive process for finding them, there are a few things you can do to help you uncover great human insights for your next big campaign. Go out in the field. Put yourself in your target audience's shoes and see how they experience whatever it is you're trying to sell. You might just uncover the true reason why they engage with it — or why they should. Rethink your research. Sometimes finding your answer is as simple as rephrasing your question. When seeking out human insights through research, open your mind to the various possibilities that exist. Chances are, you may be focusing on the wrong thing. Insights tend to highlight the benefit of a product or service, not tangible features. Make connections. Perhaps you may be stumped as to how you can frame a product or service in a way that has the power to persuade the target audience to try it. That's when you can make use of a little something called lateral thinking. In this exercise, you make connections or "jumps" between otherwise unrelated things. Think of your product as a solution. What kind of unconventional problems could it solve? How does that relate to your audiences' lives? "Wear the hat!" When all else fails, pretend to be your target audience. It sounds crazy, but it works. Walk their walk. Talk their talk. You'll be surprised how much it can reveal about their underlying motivators. This is an essential component of our creative process at CBD. An ideal human insight is easily relatable to anyone in your target audience and powerful enough to drive action. The end result should be inspiring, singular in focus and highly perceptive. 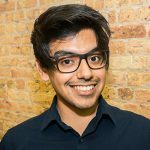 That is a topic I will touch on in the next blog post of this series, but if you’re craving more advice on how to improve your creative chops, read up on 3 quick B2B copywriting tips from CBD’s Senior Copywriter.